The Hayden area offers many varied and multi-season recreational possibilities. Scenic drives, hiking, camping, swimming, boating, fishing, and skiing are only a few of the activities the region provides. 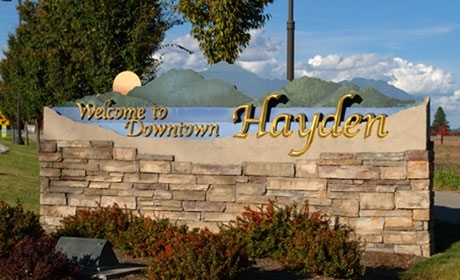 The City of Hayden's Recreation and Community Events Department offers the community diverse recreational activities, team sports and community events throughout the year that provide citizens numerous opportunities to enhance their quality of life, enjoy their families and appreciate the place they live and work. See the current Activity Guide for detailed information on all of our programs. Youth & women’s basketball, youth soccer, youth flag football, youth & adult volleyball, youth baseball, fitness & exercise and youth & adult dance are a few of the recreation program offerings. Some of the events conducted annually by Community Services are the Kite Festival, Hayden Days event and parade, Summer Concerts in the Park Series, Summer Movie Night, as well as ceremonies for Memorial Day, Veterans Day, and the Hayden Lights Christmas Tree Lighting Program & Parade. There also are several regional Sports Associations that offer programs in addition to those provided by the City of Hayden. Athletes will find numerous Hayden area events including the Ironman Triathlon, Hayden Triathlon, Hayden Lake Marathon, and the Coeur d’Alene Marathon. Silverwood Theme Park, located just twenty-minutes north of the City of Hayden along Highway 95, rivals in comparison to Six Flags and includes an expansive water park. Tripleplay and Raptor Reef Water Park, located in the City of Hayden along Orchard Avenue, is a wonderful arcade and family fun center that promises to delight all ages. Hayden is also home to the Pappy Boyington Field Museum, dedicated to the military and aviation history of those who served in uniform from this area. 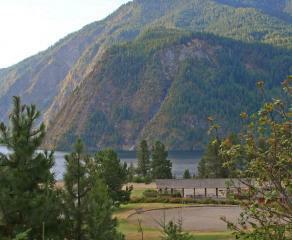 Farragut State Park, once a WWII era naval training station, is now a 4,000-acre park providing outdoor recreation activities and camping opportunities with 223 individual sites, 7 group camps, and 10 camping cabins. Finally, if you're a skier, this is the area to come to! The City of Hayden is centrally located with an hour and a half of four ski resorts that include Mt. Spokane Ski Resort in Spokane, Washington, Schweitzer Ski Resort in Sandpoint, Idaho, Silver Mountain Resort in Kellogg, Idaho and Lookout Pass in Mullan, Idaho.